MERRY CHRISTMAS FROM GALLEONS LAP! 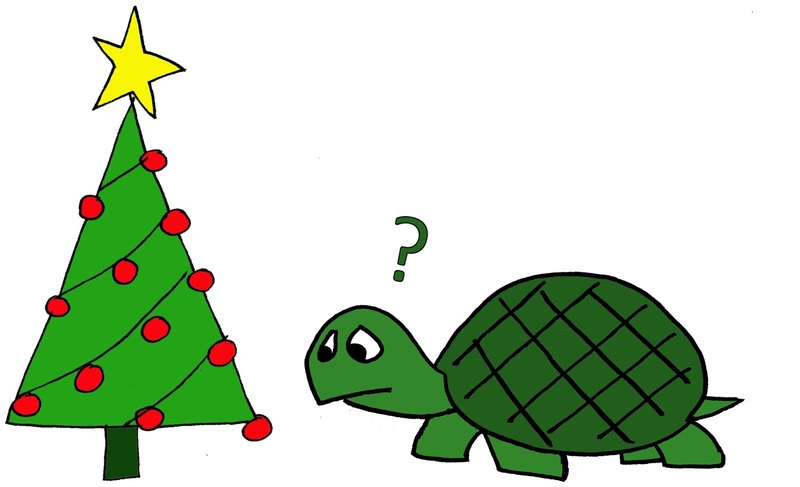 In which Greg the Turtle ponders what Christmas means to those among us who are not human children. In which two old friends meet and exchange holiday greetings (and little else), proving that friendship is the greatest gift of any season. In which the twelve-year-old master detective solves the baffling mystery that nearly ruined her family's Christmas Loosely based on Arthur Conan Doyle's The Blue Carbuncle. In which a boy finds out what really happens to kids on the Naughty List. In which Santa encounters a little problem on Christmas Eve and a brother and sister must help him out, learning a little known fact about Mr. Kringle in the process. In which a stuffed elephant takes an unexpected route to arrive under the tree in time for Christmas. Produced in cooperation with Toys For Tots. In which the truth about Santa's operation is revealed and we see how the elves cope with the various crises which arrive in the weeks leading up to Christmas. And, of course, the latest installment in the Owen Harris series, SECRET OF THE KRINGLES! Owen Harris is a ten-year-old paranormal investigator and, so far, he's learned the truth about witches, vampires, werewolves, ghosts and all sorts of other-worldly things. But can he and his friends solve the greatest paranormal mystery of all: Santa Claus? How does he know who's been bad or good? How does he do it all in one night? Does he even exist? The answers to these and other vitally important questions can be found in the sixth book in the Owen Harris: Paranormal Investigator series. That's all for now. Happy holidays! Greg got up that morning the same as always. He looked around his room with its tall, clear walls and went to get a drink from his dish. As he shook off the last bits of sleep he looked out his walls to see what the people were doing. They were putting decorations all over the house. Big red and green things that Greg didn't understand. In particular, a lot of them seemed to show a big fat guy in red pajamas and a white beard. Molly was asking her big sister, Mabel, a lot of questions. It was a very confused turtle whom Molly returned to his room a moment later. Christmas? What's Christmas? And who is this Santa who's supposed to bring me something? It was very overwhelming. But that night, many of his questions were answered. His room happened to be in such a place that it faced the TV so when the girls watched a movie called “A Christmas Carol” he learned a lot about this Christmas business. The holiday, it seemed, had something to do with a little baby called...something with a “J”, he couldn't remember. But the impression that Greg got was that this “Christmas” was this baby's birthday. Did you have to know the baby to celebrate? Are turtles allowed to celebrate? It seemed to have a lot to do with presents. Was it still Christmas if you didn’t get a present? Or give one? His heart sank. Boys and girls. Not turtles. He was a boy turtle, sure, but he had the clear impression that this is not what they meant. Oh well, he thought, as he watched another show about a snowman with a special hat. No Christmas for me. That night, Greg was awakened by a strange sound. A sort of “THUD” as if something had landed on the roof. Greg was frightened. If it was burglars, he was ill-equipped to do anything about it except hope and pray that turtles were not valuable on the black market. But then he heard another sound: Bells! Very small bells! He remembered from his TV research that Santa's sleigh had bells on and often landed on rooftops. Am I going to get to see Santa Claus? He did! Santa came down the chimney and set about his work. Putting packages under the tree, eating milk and cookies, filling the stockings. Greg watched him, transfixed. The bright smile, the red suit, the white beard. He's just the way I thought he'd be, said Greg to himself. I may not get any presents, but it's enough to get to see him! Greg shut his eyes obediently and tried to fall asleep. “That's better. Now don't open them till tomorrow. And Merry Christmas, Greg.” He heard Santa place something inside his room and creep away. In another moment he heard the sleighbells, the muffled cry of Santa and then...nothing. Santa was gone. It was tempting, but Greg kept his eyes shut until he fell asleep. “Merry Christmas!” Greg woke to the joyous cry of Molly and Mabel as they ran downstairs for their presents. Their parents followed, somewhat less enthusiastically, but still all smiles. Greg watched through the walls of his room as the girls opened their presents and showed them off for their parents. It was a wonderful scene and Greg was very happy to have seen it. “Look,” said Molly, suddenly. “Santa left something for Greg, too.” Greg had almost forgotten. With the great effort that it took for him to move at all, Greg turned around and saw...a great big head of lettuce! And it was all for him. As Greg began to munch on the crisp green leaves he thought of what Santa had said to him before he left.